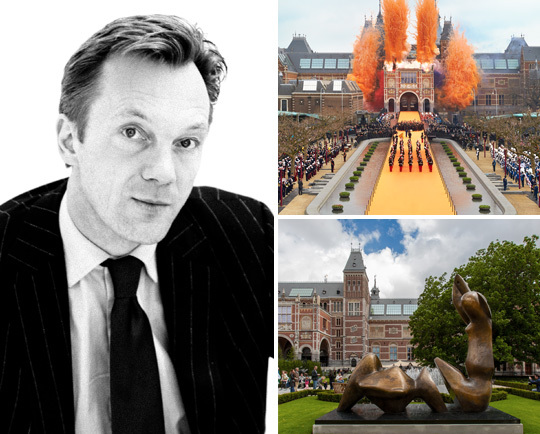 Distinguished art historian Wim Pijbes has been General Director of the Rijksmuseum since 2008. After beginning his career at Theater Lantaren/Venster in Rotterdam he started to organise international exhibitions about 17th-century Dutch art and Dutch design, and he founded Art Support, a company that organised Dutch design exhibitions in Europe. He joined the Kunsthal Rotterdam as an exhibition coordinator, and he was its Director from 2000 to 2008. He is actively involvement in various arts organisations and he has written two children’s books about art appreciation.